Worktop upstands are a stylish and practical alternative to tiles and can be used to conceal the connection between walls and work surfaces. 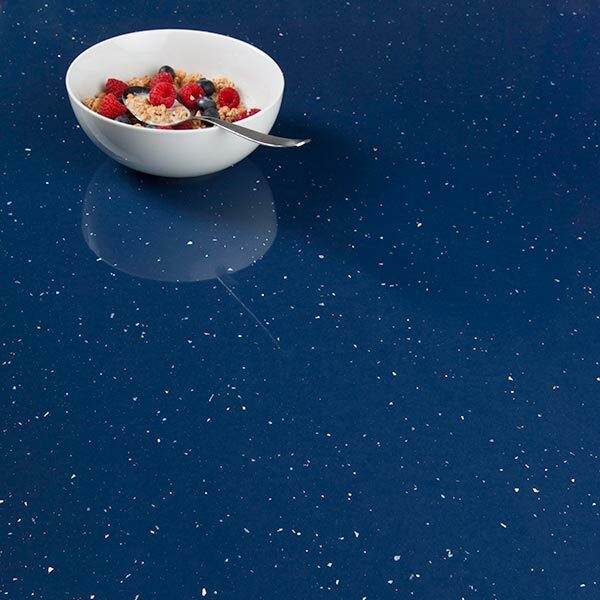 Our blue sparkle worktop upstand measures 3m x 120mm x 18mm and features the same striking iridescent flakes and shimmering glittered surface as the other items in our blue sparkle Andromeda collection. This blue worktop upstand is created from a sturdy core of fibreboard that is wrapped in a decorative laminate top layer. A durable, low-maintenance option for any home, this upstand can be wiped clean with a soft cloth and some warm soapy water. Simple to cut to size if required, this upstand can be fitted with ease and is a great, hygienic alternative to tiles.